Brain injuries can be the result of direct trauma or secondary conditions such as intracerebral hemorrhage or brain herniation. Brain injuries and the related symptoms depend primarily on the area of the brain that is affected. Minor injuries result in temporary dysfunction of brain cells, but more severe injuries occur in permanent damage. Treatment of brain damage may include physical therapy, occupational therapy, or medication. The most common symptoms of brain injuries are neuropsychological. Cognitive deficits may include memory impairments, changes in mood or personality, irritability, anhedonia, confusion, perception deficits, and reduced intellectual functioning. In some cases, physical symptoms also manifest, such as lack of coordination or paralysis. People that have sustained a brain injury may develop severe impairments in maintaining concentration, persistence, pace, social functioning or completing normal activities. Social Security has a medical listing specifically devoted to brain injuries under listing 11.18 Traumatic Brain Injury. With proper medical evidence, anyone that meets the definition of a listing will be granted Social Security benefits. The traumatic brain injury listing is evaluated under the mental listing for 12.02 Organic Mental Disorders and the neurological listings 11.02 Convulsive Epilepsy, 11.03 Nonconvulsive Epilepsy, and 11.04 Central Nervous System Vascular Accident. 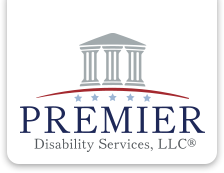 Premier Disability Services, LLC has extensive experience assisting claimants who have suffered a brain injury obtain Social Security Disability benefits. If you have suffered a brain injury and you are unable to work, please contact our office for a free evaluation.